It was at a very convenient location, about 10 to 15minutes walking from train. It was super close to the beach. You can take a boat or train to Cinque Terre, super easy. Rooms were clean, A/C worked well and my family of 4 adults and 1 child were very happy with our stay. Excellent location in vibrant town. Well equipped and very comfortable. Amazing location, very close to beach and loads of restaurants, train station was about 10-15 min walk, so it's easy to walk everywhere. Spacious apartment, very good air conditioning (which was much needed in August! ), easy to collect and drop off keys. The Apartment was comfy. We were a family of 4 adults and one teenager. I was happy that they had a pull out couch that was very comfy for my brother since he had been sleeping in couches a lot. The kitchen was well equipped with many cooking tools. The apartment was located in a small quiet square and only a 4min walk to the beach. The staff was nice, a lady took us to a private garage that was about 14 euros per day and she also took us to the apartment itself. Over all our stay there was pleasant. The apartment was clean and spacious. The beds were comfy. Super location. 2 minute walk to beach and gorgeous restaurants. Apartment clean and very well equipped. Check in and out very straightforward even though you are dealing with an agency. Highly recommend this apartment. Great location - close proximity to the beach and the town centre. We had a comfortable stay, the place easily accommodated four people. Fully equipped kitchen. Directions were shown by a lovely lady. Location was very good. The location was perfect (although you are right next to bells, but we liked that). It was spacious, and had everything we needed. Lock in a great price for Appartamenti Sant Andrea – rated 8.3 by recent guests! Located in Levanto, Appartamenti Sant Andrea has accommodations with a flat-screen TV. All units comprise a seating area with a sofa, a dining area, and a fully equipped kitchen with various cooking facilities, including a dishwasher, an oven and a microwave. A fridge and stovetop are also featured, as well as a coffee machine. La Spezia is 21 miles from Appartamenti Sant Andrea. Cristoforo Colombo Airport is 56 miles from the property. 뀐 Located in the top-rated area in Levanto, this property has an excellent location score of 9.3! When would you like to stay at Appartamenti Sant Andrea? This apartment features a kitchenware, tile/marble floor and seating area. This apartment has a seating area, kitchenware and air conditioning. Sant'Andrea apartments are located next to the famous Sant'Andrea church and the medieval walls. 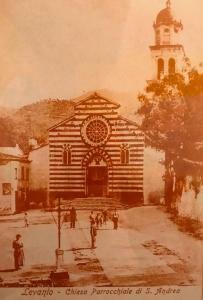 The church, dedicated the the patron of the city, was built in 1222 with white Carrara marble and local serpentinite. I'm a real estate manager and I rent apartments. Levanto, a town of pre-roman origins, lies at the northern end of the enticing little villages of the Cinque Terre. 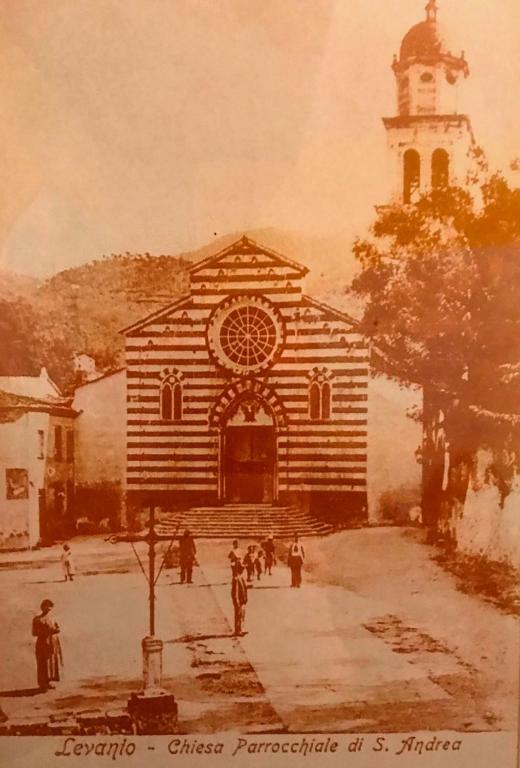 Levanto literally means "the land situated east of Genoa". with a lovely 13th century medieval loggia. Levanto is a region with a particularly mild climate. The long sandy beach is great for all beach activities. It is very popular for sailing, moreover a very good surfing spot and during the right days there are surfers from all over Europe. There is also a swimming-pool and diving center on the beach. During the summer there are many concerts and live music events. Every year in Levanto the “Laura Film Festival” takes place and a number of tasting marathons open to everyone. The area also boasts an excellent gourmet tradition, in fact the wines of Le Cinque Terre and the local sea food recepies are very popular. From Levanto it is easy to visit the fascinating ports of the Cinque Terre, either by train, by sea or by hiking. House Rules Appartamenti Sant Andrea takes special requests – add in the next step! Appartamenti Sant Andrea accepts these cards and reserves the right to temporarily hold an amount prior to arrival. The shower would clog a little every time someone would shower but then it would be fine a couple minutes later. Wifi was not included but you could rent a portable wifi for 4 euros each day. The only fault we could say, is that you had to waste a lot of cold water before it warmed up. The small bathroom could do with a mirror. Hot water was set on timer meaning that we didn't have water at certain times - I'd recommend to check it with the agency/host during the check in.